How do you say it? Beyond that, what is it? Is it that weird stuff that you see old people doing in the park? Oh, okay . . . Well, what’s the difference between Qigong and Tai Chi? Do I really have to wear one of those corny shirts and the MC Hammer pants to be involved? More importantly, how on earth can waving my hands and thinking about the color blue do anything for my health? All great questions with surprisingly unexpected answers. Qigong (pronounced CHEE-GONG) is one of the most layered, ancient, esoteric (at times) and powerful practices you can adopt to bring about massive health benefits and recovery efforts. I come bearing good news, it’s not. Read on. In order to grasp the magnitude of this practice, the first thing we should all understand is how old it is. If you do your research, many date this form of self-care back as far as 5,000 years ago. Think about that for a second: 5,000 years. That’s waaaay before anything biblical, before many of the greatest minds in science, astronomy and theology walked the earth. The ancient Chinese were on to something millennia ago, and the great news for all of us is it’s still relevant in 2017. If you do your research you will learn that of the four major subcategories, Qigong is credited to be the mother the rest. Qi (CHEE) is defined in a few related ways. One of the first, most well accepted definitions is breath. Think of the most fundamental act of being alive: Respiration is the one thing, along with your heart beat, that tells us you are alive. Another widely accepted definition of Qi is energy; The energy that pervades everything in existence (yes, just like The Force in the Star Wars films). Quantum physics tells us that all matter in the universe (and the universe itself) is made up of energy. The computer you are looking at, your favorite food, the paint on your car and you all are clusters of energy vibrating at very specific frequencies. The last definition that works is life force. Along with breath and energy, life force implies the most organic, fundamental ideas of existence. Gong is translated into skill or work. It implies practice and mastery. The two, Qi and Gong, married into one seamless practice, have the potential to help combat illness, fortify the human body to defend against disease and supercharge the potential of all things physical and emotional. For those of you focused on weight training, Qigong has been shown to create massive positive influences on strength and recovery. If you need any sort of reference to what I’m talking about . . . When Luke was training with Yoda, he was doing Qigong. When Neo began to realize that he was The One, he was doing Qigong. Everything in the Dr. Strange movie . . . was Qigong. I know, I know, I’m a nerd. In 2011, I embarked on a journey that would forever change the way I looked at the potential of these types of practices (Qigong, meditation, mindfulness) could have on athletes and training. I was in the last year of my doctoral studies for my DMQ (Doctor of Medical Qigong) and we were tasked with conducting research to complete our studies. My program was focused on oncology and Qigong’s impact on all of the cancers. A scary, daunting topic that most of us (perhaps me the most) hate considering and talking about. As we were diving into the deep end of our studies, one of the most profound common threads that kept showing up in the cancer research that the Chinese were conducting was Qigong’s immediate impact on inflammation factors for those in the fight. Journal after journal, paper after paper showed dramatic decreases in systemic inflammation. If you know anything about cancer you understand that inflammation perpetuates many of the cancers and could be credited to its formation in the first place. 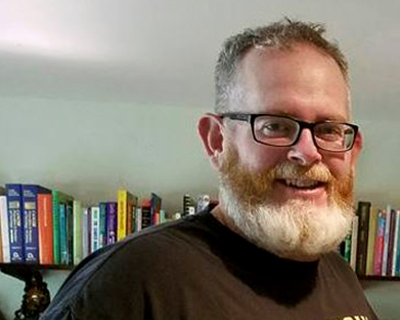 There are dozens and dozens of other reasons that a Qigong practice helps a sick patient fight, but the inflammation piece struck a chord with me. Cancer meds, chemotherapy, radiation and the stress and fear of being sick all add to the inflammation pot, yet these folks were showing numbers that looked much like those of a healthy individual. Manage the ups and downs of a healthy lifestyle . . . Yet they are still getting silly little injuries, chronic pains and overall wear and tear. This individual is swimming upstream when it comes to recovery and more importantly, stacking levels of inflammation and stress that diet and sleep can’t keep up with. The supplement industry has made billions (with a B) addressing this very imbalance. 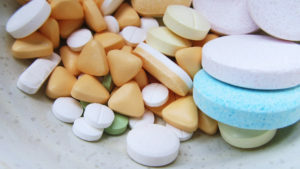 The pharmaceutical companies have likely made trillions (with a T) over the years creating drugs and therapies to mask the mounting surge of inflammation that we all store on a daily basis. Our dietitians and food gurus have created diets and eating fads, pointing the blame at this food and those habits so they can get their hand in the pot. At their core I’m sure there are some who have good intentions, but the mighty dollar speaks louder than reason at times. Why not take the reins yourself and do something that has little to no cost, and will likely be more powerful in combating problems like inflammation than the above-mentioned approaches combined? My first understanding of the power of Qigong on athletes was my doctoral thesis when I was wrapping up my DMQ. Without getting into a marathon of storytelling, I took three in-season teams and divided them into two groups: experiment and control. The experimental group received two medical Qigong treatments per week performed by either myself or one of my doctoral candidate peers. For the entirety of their respective seasons, our football, women’s soccer and softball teams took part in surveys that measured six performance variables that were completely unrelated to their specific sport: things like sleep the night before the contest, their anxiety before the game and how much energy they finished the competition with. The overwhelming results included five of the six variables showing massive statistical significance from group to group. One of the most compelling findings was how the Qigong treatments impacted sleep for the participants (notable because sleep is perhaps the most important variable in recovery regardless of influence). The second time we saw Qigong impact athletes in a monumental way was a university-backed research project conducted by my former assistant, Chris White, and myself. Again, we took three teams, but this time we measured strength increases over an eight-week training cycle during the off season. We measured strength and power baselines for all three teams and then they divided through self-selection who would be part of the Qigong intervention and who would act as a control. The intervention group were required to wake up five mornings a week for the duration of the eight weeks for a 15-minute Qigong recharge that I designed and led. Everyone was put on the exact same GPP (General Physical Preparedness) lifting program with loads assigned based off of their max performance just prior to the study. We trained eight weeks and what we found at the end was another case of the Qigong intervention creating statistical significance in all training variables. Some individuals were able to do amazing feats of strength during testing, and more than 10 of my footballers put over 100 pounds on their front squat. It was in-your-face, scientifically proven factual data that should interest anyone who understands the research: Qigong, particularly the style we were performing, has the potential to create an environment within the body that can handle the workload of a hard training, hard charging athlete while fostering considerable strength gains. What was most interesting for me, as we take a look at both studies was the level of overall balance both were able to create in the participants. In the first, we saw each person level off and stay steady over their season (as a reflection of their scores, week to week). With the second study, we saw a similar effect with how the participants answered a wellness intake we administered week to week, along with how each of the participants reported to handle common stressors like midterms and the day to day strife that comes along with being a college student-athlete. The control groups in both studies showed only one consistency throughout the duration of the testing: inconsistency. 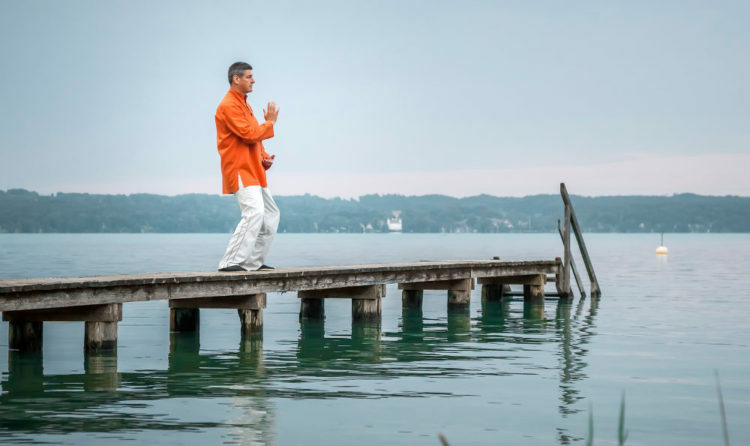 They reported vastly different scores week to week whereas in both studies, the Qigong group seemed to level off midway through the studies, finding a sort of homeostasis emotionally, in regards to stress and their overall feelings of wellness. Which leaves us now in a place where you must be wondering, how does this all work? If I were to tell you that the science is simple, digestible and easy to understand I would be lying to you. Chinese medicine is, at best, completely confusing. It’s a monumental departure from what we understand in western medical science. With that being said, I will attempt to draw the most simplistic way of understanding what is happening. The concept of yin and yang is crucial to establishing any sort of footing. Yin represents cool, female and dark. Yang is hot, male and bright. We all have a degree of balance of the two energetic qualities within our systems. When yin and yang are in balance, the body, mind and spirit thrive. Everything about us that could be optimized, is when yin and yang is in balance. Problem is, anything can affect that balance: Relationships, diet, stress, your job, where you live, your state of mind . . . anything. Where most people reside, in respect to this idea, is somewhere from slightly out of balance to severely out of whack and that is where disease creeps in. 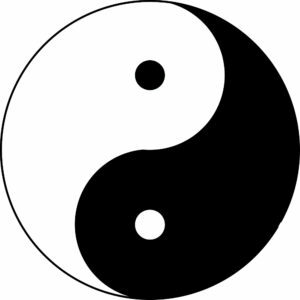 Within the idea of yin and yang there are defining subsets that further zero in on specific systems within the body to pinpoint where the “problem/s” are. Problems can take on many forms, but the most common are classified as stagnations, excesses or deficiencies. There are five yin organs where we focus our attention (heart, spleen, lungs, kidneys and liver). Each of those yin organs have its own yang-paired organ (heart-small intestine, spleen-stomach, lungs-large intestine, kidneys-urinary bladder and liver- gallbladder). These pairs work together in harmony, balance and support one another. Taking it another level of depth, each of those pairings have an emotion, virtue and element attached to it. If you are counting, we are five levels in now. I’m sure most of you are totally lost, and let me reassure you that most of us were for a very long time when I was in school. As a person navigates their day and is exposed to all the things within a hectic lifestyle, an energetic tug-o-war takes place. This pulls from that, that pulls on this and what should be everyone supporting and playing nicely together within the body becomes an internal struggle. Because of the emotional component of those pairings, as we find ourselves miring within a particular emotion (take anger for example), the element that is associated with that organ pairing begins to accumulate. If this perpetuates, the entire system begins to experience problems. This, in summary, is how we can get sick. The positive news is, the opposite also stands true. When a person can get themselves in balance energetically, all things good happen. Many disease states experience reversal, the healthy can fortify their situation and more important to our discussion here, those looking to do something special athletically position themselves to do so. We heal fully, we sleep better, we recover faster, and we live life more focused. Qigong is a discipline about controlling the mind, organizing the breath and moving with purpose. Very similar to Tai Chi, Qigong is a grouping of coordinated movements that are very specific to many of the systems discussed earlier. In a more clinical setting, you can also have a Qigong master move the energy for you to induce the desired effect or healing. The great news is, a little goes a long way. What took a person years to get out of harmony can be redirected quickly with a regular practice. As with anything worth doing, that practice must become . . . well, a practice. Daily exposure to the routine of your choice is the only way to cement true change into your body. Once you enter into a disciplined routine, you’ll find that your emotional “skin” thickens. What would normally send you spiraling tends to not even show up on your radar. The little BS things like colds, flus and seasonal struggles that once were regularly scheduled events nearly disappear. As previously mentioned, you will notice immediately is the quality of your sleep. For a person like myself, where my job has me working very long hours and getting into work very early, I don’t normally get eight hours of sleep. I have a family; three kids and a wife. I wake up most mornings around 4:30am, work until 5:00pm or 6:00pm and then go home and attempt to be a contributing member of my clan. I average between five and six hours of sleep on a good night. But, those five or six hours are spent in really deep, recuperative sleep. That distinction matters. My personal practice, the one that I designed for our second study, takes me approximately 15 minutes, front to back. I can move slower or faster, depending on the situation, but 15 minutes is the norm. Depending on how I’m feeling, I will do an additional practice right before bed that takes less than five minutes. It’s intended to clear the day from me, burn away any crud that might be forming and fortify my kidney yin to aid in my uninterrupted sleep. That’s it. Many times, because the late day session is done lying in bed, I find myself sawing logs before I’m through the practice, which is a win-win situation. If you take inventory of the primary causes of the major diseases, you will quickly notice that stress and inflammation are mentioned immediately in nearly all of them. Over our lifetimes, we accumulate stress inside of our body that will eventually wreak havoc on our health. Although there are many forms of good stress, all of us are carrying around entirely too much of the not-so-good stress. Inflammation, except in the very beginning stage of the healing process, is a big problem. If you think you are compensating with your sleep, your diet and your positive outlook on life, you are likely wrong. We all need to take additional steps to get ourselves back in the black, so to speak. In closing, there are tons of resources that you can consider if Qigong sounds like something you would like to try. 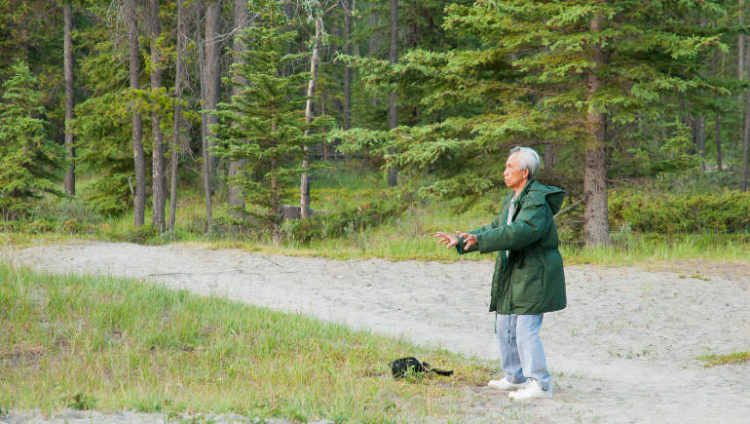 My master, Dr. Jerry Alan Johnson, has a DVD on Amazon called: Chi Kung The Healing Workout. My own practice uses many of the elements seen on this DVD. The popularity of this type of training has seen a surge in the past few years, so classes and individuals who know what they are doing are becoming more prevalent. Lastly, it is my intention to release my own practice by the fall of 2018, so keep your eyes peeled! In this short conversation, Drs. Mark Cheng and Jimmy Yuan give us an overview of the use of traditional Chinese medicine in rehabilitation. They cover some key points in acupuncture and dry needling, the window of corrective exercise, and how the functional movement systems of FMS and SFMA can guide the practitioner.